Members of an Indonesia-based group calling itself "Anshorulloh Solo" showed their readiness to heed the call of al-Qaeda leader Ayman al-Zawahiri to fight the Bashar al-Assad regime in Syria, in a public demonstration in Solo, Central Java. The Jamia Hafsa Urdu Forum (JHUF) released Arabic- and English-subtitled versions of an as-Sahab-produced video showing a BM rocket attack on a US base in Afghanistan's Paktika province. Al-Qaeda leader Ayman al-Zawahiri spoke in a new audio speech on the 65th anniversary of Israel’s founding. 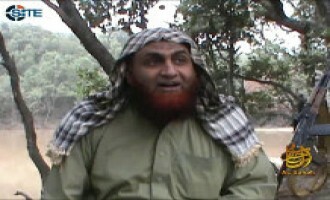 Al-Qaeda's media arm, as-Sahab, launched a series of videos promoting Islamic Shariah on the Indian subcontinent and condemning democratic-rule, and in the first episode, featured "mujahid Islamic scholar" Maulvi Asim Umar commenting on the issue. Al-Qaeda's media arm, as-Sahab, released a video speech from Ustadh Ahmad Farooq urging people to rally around Islamic scholars and Shariah-based governance as the solution to what he believes are Pakistan's problems. 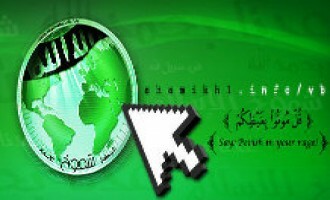 A jihadist gave a tutorial for a program he developed to facilitate Distributed Denial of Service (DDoS) attacks against "Zionist-Crusader" websites, and invited fellow al-Qaeda supporters to join the "Electronic Islamic Army". 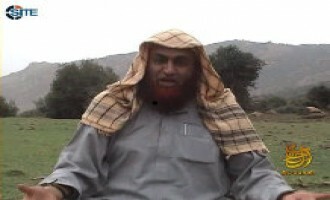 Jihadists reported that al-Qaeda security expert Abu Obeida Abdullah Khalid al-'Adam (AKA Abu Obeida al-Maqdisi) was killed in a US drone strike in North Waziristan. 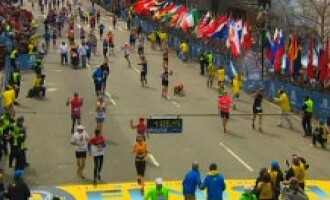 A jihadist remarked that while the perpetrator of the bombings in Boston, Massachusetts, is not yet known, the attack is in line with al-Qaeda's strategy to exploit security vulnerabilities and weaken the enemy with small attacks that spread fear. 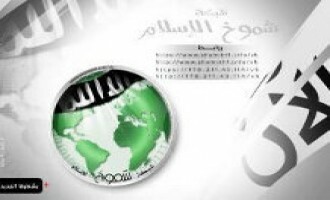 A jihadist who had previously posted about organizing a center for jihadists who have expertise in hacking, networking, and programming language, gave an update about its brigades and threatened attacks against the United States. Al-Qaeda leader Ayman al-Zawahiri called on Muslims to unify in creed and actions, and specifically, to ignore borders imposed on their countries, implement Shariah-based governance, and support jihad in every battlefield. A jihadist expressed his desire to plan an attack in the United States similar in impact to al-Qaeda's 9/11 strikes and attempted to recruit other supporters. Ustadh Ahmad Farooq, al-Qaeda’s head of media and preaching in Pakistan, urged Bangladeshi Muslims to revolt against their government and kill everyone who insults the Prophet Muhammad, reacting to recent incidents involving bloggers. 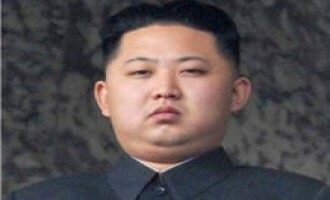 Jihadists discussed a possible partnership between al-Qaeda and North Korea centered around defeating the United States. 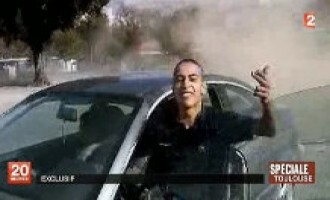 A jihadist encouraged fellow al-Qaeda supporters to participate with the hacking groups the "Tunisian Cyber Army" and "Al Qaida Electronic Cyber Army" in their upcoming operation aimed at targeting America's "vital joints". 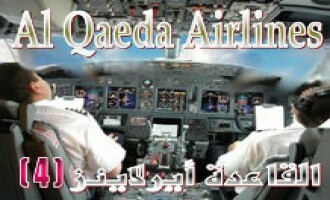 Abdullah Dhu al-Bajadin, the author of "Al-Qaeda Airlines" magazine and a recognized explosives expert in the jihadist forum community, advertised the magazine's upcoming releases, including one about injections, and remarked on the death of US Ambassador John Christopher Stevens in Benghazi, Libya. Ustadh Ahmad Farooq, al-Qaeda's head of media and preaching in Pakistan, released an audio lecture about truthfulness as it relates to a Muslim's sincerity in his deeds and worship. 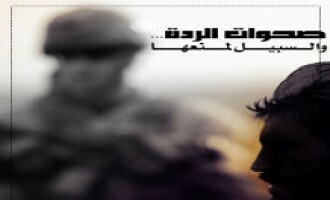 Jihadists distributed an account of the events leading to the capture of al-Qaeda spokesman Suleiman Abu Gheith by US authorities on the Kuwait-Jordan border, as well as a statement from the Ummah Party holding the Kuwaiti government responsible for what transpired. 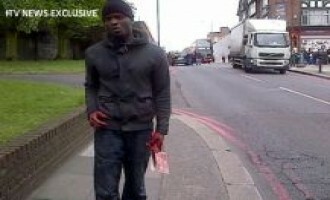 A jihadist suggested that fellow supporters of al-Qaeda use chalkboards in university classrooms as a means to promote the fighters and jihadi websites. 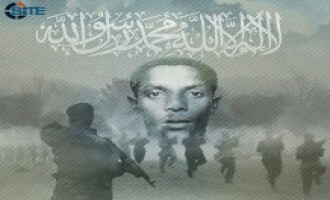 Al-Fajr Media Center published a set of tips from al-Qaeda security expert Abu Obeida Abdullah Khalid al-'Adam to new jihadi recruits to protect them from suspicion and ensure they succeed in their assigned tasks wherever they are deployed. 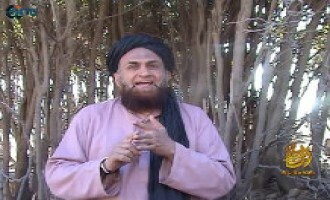 Ustadh Ahmad Farooq, al-Qaeda's head of media and preaching in Pakistan, released a video concerning Kashmiri jihadi leader Ahsan Aziz, who was killed in a US drone strike in North Waziristan on August 18, 2012. 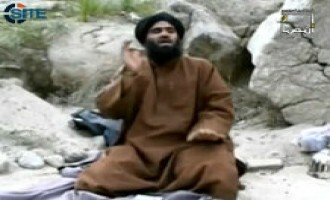 Khalid bin Abdul Rahman al-Husainan, a now-deceased al-Qaeda religious scholar, vilified the United States as the "head of terror" in a posthumously released sermon for the occasion of Eid al-Fitr 2012, which fell during the month of August. A prominent jihadist chastised fellow al-Qaeda supporters for their lack of action and incited them to take the initiative and strike the enemy. 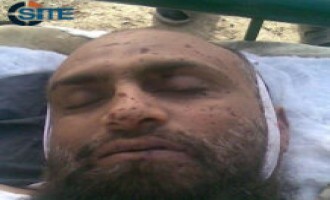 A jihadist distributed three pictures showing who he alleges to be Khalid bin Abdul Rahman al-Husainan (AKA Abu Zeid al-Kuwaiti) after he succumbed to wounds inflicted in a drone strike. 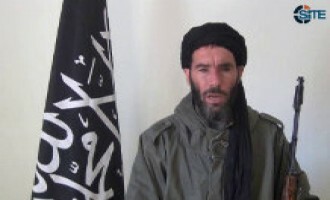 The al-Mulathameen Brigade, an al-Qaeda-affiliate in the Sahara, reportedly claimed responsibility for the kidnapping of 41 foreign nationals after a raid on a BP oil facility in Illizi province of eastern Algeria. 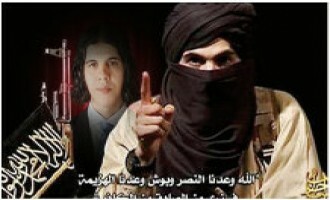 Three top-tier jihadists forums have returned online two weeks after suffering outages. 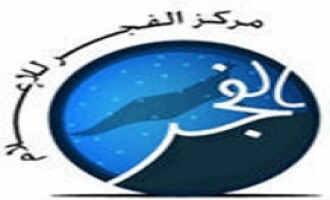 The al-Fida' and Shumukh al-Islam forums, two primary sources for official messages from al-Qaeda and its affiliates, and the Ansar al-Mujahideen Arabic forum, another major network, are currently offline. 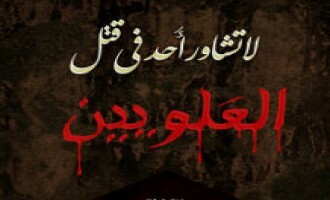 Kuwaiti news sites and contemporaries of Khalid bin Abdul Rahman al-Husainan, a former imam in Kuwait's Endowments Ministry who has appeared in dozens of al-Qaeda videos and published texts on jihad and martyrdom through al-Qaeda's media channels, have reported that he died. 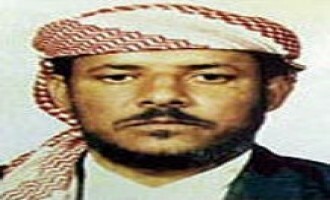 Kuwaiti news sites and contemporaries of Khalid bin Abdul Rahman al-Husainan, a former imam in Kuwait’s Endowments Ministry who has appeared in dozens of al-Qaeda videos and published texts on jihad and martyrdom through al-Qaeda’s media channels, have reported that he died. 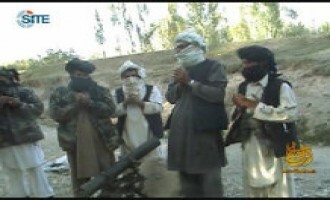 Al-Qaeda's media arm, as-Sahab, released a video showing mortar and rocket attacks against enemy bases in Afghanistan. 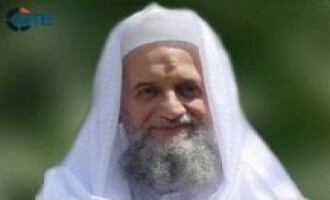 Al-Qaeda leader Ayman al-Zawahiri gave a eulogy for Hisham Ali al-Su'aydani AKA Abu al-Walid al-Maqdisi, the leader of the Gaza-based Tawhid and Jihad Group in Jerusalem, who was killed in an Israeli airstrike on October 13, 2012. 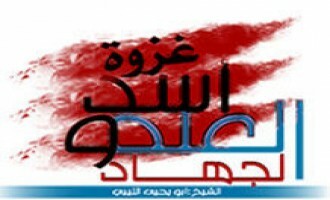 Al-Qaeda leader Ayman al-Zawahiri called upon Egyptians to continue their revolution until they achieve Shariah-based governance, and urged Muslims to kidnap Westerners as a means to free imprisoned jihadists in the first part of the eleventh episode of his series "A Message of Hope and Glad Tidings to Our People in Egypt." Al-Qaeda's media arm, as-Sahab, released the video of Ayman al-Zawahiri's incitement to Muslims to defend the Prophet Muhammad against insults and mockery that was previously distributed in an audio format. 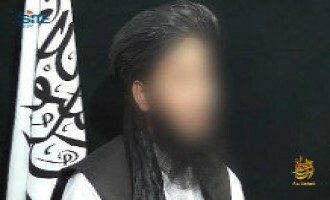 The Waziristan-based fighter who announced the death of Jund al-Khilafah leader Moez Garsalloui provided over a dozen new pictures of slain colleagues including al-Qaeda members Abu Yahya al-Libi and Abu Kandahar al-Zarqawi, as well as Ahmed "Saif" Omar Abdul Rahman, a son of the "Blind Sheikh" Omar Abdul Rahman. 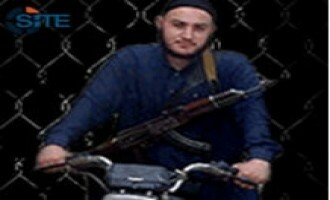 In the fourth issue of the Turkish jihadist magazine "Islamic World," an author published a brief biography of Bekkay Harrach AKA Abu Talha al-Almani, a German member of al-Qaeda who had appeared in its audio and video releases between January and September, 2009, before his death in a raid on Bagram Airfield in Afghanistan. Al-Qaeda leader Ayman al-Zawahiri released a new audio speech calling upon Muslims to defend the Prophet Muhammad against insults and mockery. 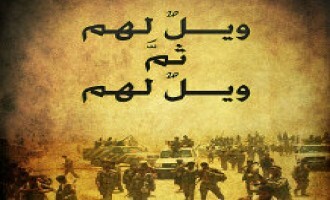 Al-Fajr Media Center published a guide for fighters to face enemy raids on their positions. 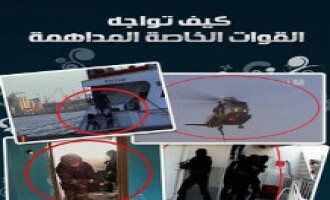 The 10-page guide, which is authored by an individual named Badr al-Sabhi, and titled, "How to Face the Storming Special Forces," was posted on jihadist forums on October 9, 2012. Ustadh Ahmad Farooq, al-Qaeda's head of media and preaching in Pakistan, spoke on what he called the "genocide" of Muslims in South Asia, particularly in Arakan, Burma, and Assam, India, and threatened both countries with consequences if the violence continues. 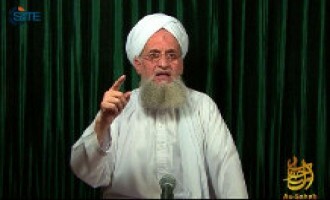 Al-Qaeda leader Ayman al-Zawahiri recalled Usama bin Laden's relationship with Afghan, Pakistani and Saudi scholars, and his membership in the Saudi branch of the Muslim Brotherhood in the third episode of his series of reflections on the slain official. Al-Qaeda's American spokesman Adam Yahiye Gadahn AKA Azzam the American, discussed the factors and circumstances behind revolutions in the first episode in a new video series produced by as-Sahab. 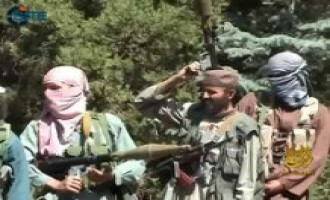 Al-Qaeda's media arm, as-Sahab, released a video showing activities of fighters in Ghazni province of eastern Afghanistan, including their carrying out attacks and evading enemy aircraft. 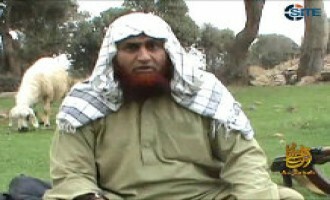 The General Command of the Global Islamic Media Front (GIMF) gave a eulogy for Abu Yahya al-Libi AKA Hasan Qa'id, after al-Qaeda confirmed his death in a drone strike in Mir Ali, North Waziristan, in June 2012. 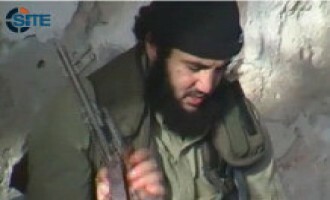 Al-Qaeda's American captive, Warren Weinstein, asked his wife to contact Jewish communities in the United States to help with his release in the second video of him to be released within two days. Al-Qaeda's media arm, as-Sahab, released a new video featuring a speech by al-Qaeda leader Ayman al-Zawahiri and previously unreleased footage of two 9/11 hijackers, Khalid Muhammad Abdullah al-Mihdhar and Nawaf Muhammad Salim al-Hazmi, reading their wills. Al-Qaeda's media arm, as-Sahab, released a video showing American captive Warren Weinstein appealing to Israeli Prime Minister Benjamin Netanyahu to intervene on his behalf and to work with al-Qaeda to accept their demands for his release. 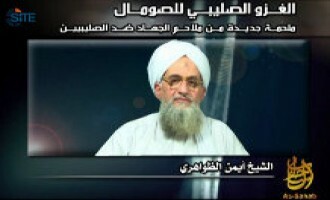 Al-Qaeda’s media arm, as-Sahab, released its video production for the eleventh anniversary of the 9/11 attacks, featuring new footage of al-Qaeda leader Ayman al-Zawahiri and the group’s American spokesman Adam Gadahn. Masada al-Mujahideen, a Palestinian militant faction, congratulated Abu Yahya al-Libi for attaining "martyrdom" and offered its condolences to al-Qaeda and Muslims in general for his loss. 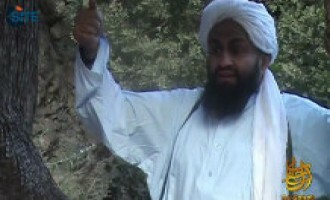 Al-Qaeda leader Ayman al-Zawahiri gave a eulogy for Abu Yahya al-Libi AKA Hasan Qa’id, acknowledging the death of the al-Qaeda official in a drone strike in Mir Ali, North Waziristan in June 2012. Jihadists discussed if al-Qaeda needs to change its strategy, after one questioned if it's conceivable that the group fight local Arab states while the "biggest enemy," the United States, is left safe. 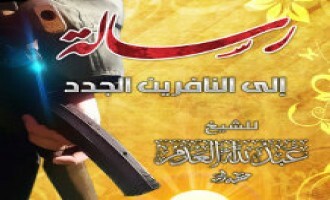 The Ansar al-Mujahideen Network published an article by Abu Obeida Abdullah al-'Adam inciting for violence against Alawites, a Shi'ite sect in Syria, for what is being committed against Sunnis by the Bashar al-Assad regime. 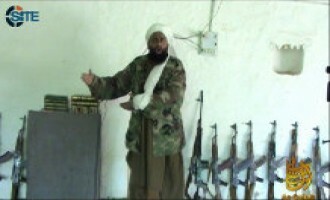 Ustadh Ahmad Farooq, al-Qaeda's head of media and preaching, called upon fighters to "pay special attention" to striking American and NATO supply lines in Pakistan and targeting the owners of supply contracting companies. 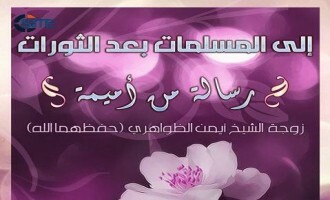 Khalid bin Abdul Rahman al-Husainan discussed the importance of having good manners and qualities in the eighth episode of his latest series of video lectures produced by al-Qaeda's media arm, as-Sahab for the holy month of Ramadan. As part of his latest Ramadan lecture series, al-Qaeda cleric Khalid bin Abdul Rahman al-Husainan AKA Abu Zeid al-Kuwaiti, spoke about the "dangerous illness" of vanity and how to treat it. 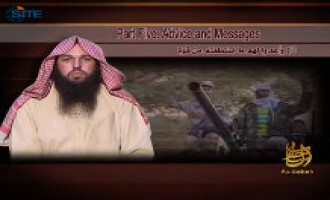 Khalid bin Abdul Rahman al-Husainan lectured on the meaning behind a supplication asking for guidance and piety in a video produced by al-Qaeda's media arm, as-Sahab. Khalid bin Abdul Rahman al-Husainan lectured on the "aspects of strength in the life of the believer," including constantly calling for virtue and going out for jihad, in a video produced by al-Qaeda's media arm, as-Sahab. 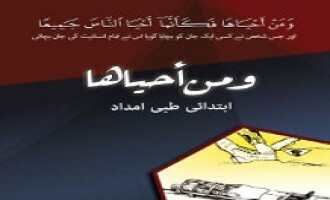 Al-Qaeda's media arm, as-Sahab, released an Urdu audio lecture from an individual named Maulvi Asim Umar about the benefits and necessity of jihad. 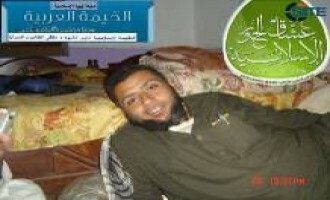 The Global Islamic Media Front (GIMF) released a letter from an imprisoned German fighter identified as Abu Khattab al-Muhajir addressing fellow prisoners and urging that they have patience amidst their difficulties. Al-Qaeda's media arm, as-Sahab, released a video urging Muslims to spend money for jihad, highlighting the good it will provide the fighters and the benefits donors will receive in the hereafter. A prominent jihadist recommended that fellow al-Qaeda supporters launch a propaganda campaign to defend the group against enemy attempts to harm it and its recruitment efforts. 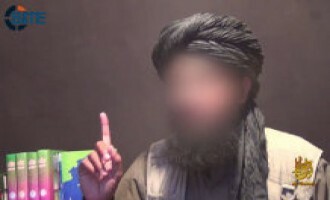 Al-Qaeda official Abu Yahya al-Libi condemned America's ethics in war, drawing mostly on examples of soldiers' actions against civilians and fighters in Afghanistan in January and March, 2012, in a new video speech released on jihadist forums on June 22, 2012. 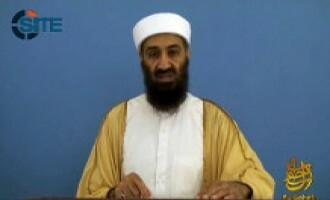 Al-Qaeda leader Ayman al-Zawahiri remarked on Pakistani authorities razing the house where Usama bin Laden lived in Abbottabad, and continued to demand that Shariah-based governance be instituted in Egypt in the tenth episode of his “A Message of Hope and Glad Tidings to Our People in Egypt” series. 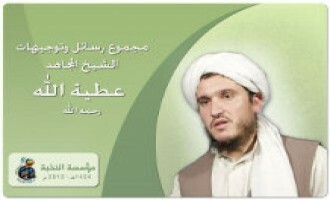 Al-Qaeda official Abu Yahya al-Libi spoke on the plight of Syrians in a new video speech released on jihadist forums on June 12, 2012. 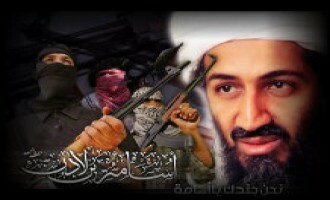 Addressing "cowardly" Americans, a jihadist declared that supporters of al-Qaeda have not forgotten to avenge the assassination of Usama bin Laden. 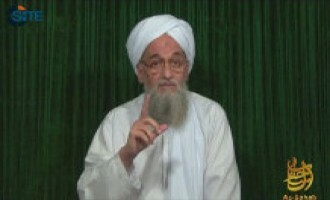 Al-Qaeda leader Ayman al-Zawahiri urged Tunisians to demand Shariah-based governance in an audio speech released on jihadist forums on June 10, 2012. 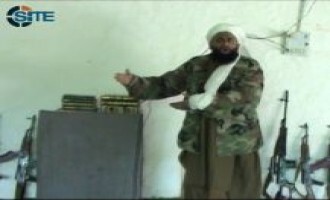 Ahmad Farooq, al-Qaeda’s head of media and preaching in Pakistan, gave a eulogy for two Pakistani clerics who were murdered by unknown persons in May 2012, and held the Pakistani government responsible. 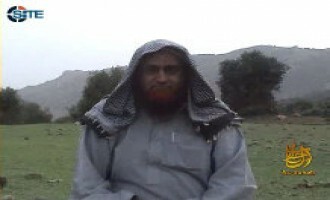 After reports that a US drone strike in North Waziristan killed al-Qaeda official Abu Yahya al-Libi, some jihadists expressed doubt and believed the claim to be an enemy ploy, while others declared that whether he is alive or dead, jihad will continue. Al-Qaeda's media arm, as-Sahab, released the second episode of the "Days with the Imam" video series in which al-Qaeda leader Ayman al-Zawahiri reflects on his memories of Usama bin Laden. Al-Qaeda leader Ayman al-Zawahiri called upon Saudis to follow the example of their brethren who participated in the Arab Spring in countries such as Egypt, Libya, and Tunisia, and revolt against their government. 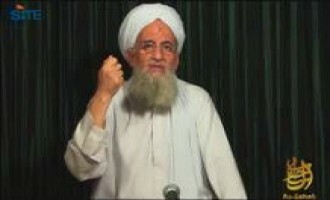 Al-Qaeda leader Ayman al-Zawahiri called upon Somalis to defy the February 2012 London conference on Somalia and embrace jihad. 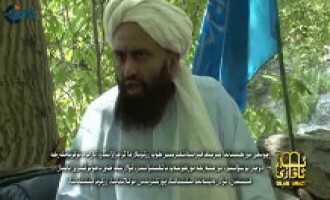 In a message commemorating the anniversary of Usama bin Laden's death, a member of the Afghan Taliban remarked on his meeting the now-former al-Qaeda leader and his associates in Afghanistan.